IT’S THE FINAL countdown to the Leaving Cert exams. 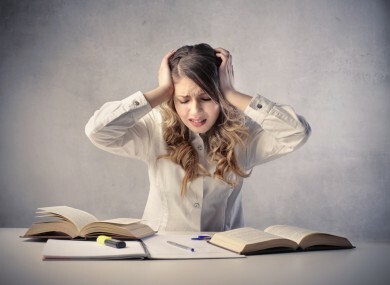 Students up and down the country will be feeling the pressure this weekend and most likely cramming as much information they can into their heads. The Leaving Certificate is a huge part of growing up and it can feel like your life has rotated around it for two years. At age 17 0r 18, questions are asked about what you want to do with your life and what college or career path you want to go down. A lot of that seems to hang on what points you get, which can put teenagers under a huge amount of stress. While many students will reach their goal, some will not. Despite what you might think, this is not the end of the world. Some people have no idea what they want to do with their life, and many will go down a road they perhaps never even thought of. There is no denying that not getting the points you wanted can be a panic-stricken situation, but take a moment, relax and calm down. This is not the end of the world. Life is full of hiccups that aren’t planned and what’s important is to navigate around them. There are many options, many course and many routes to take that will get you to where you want to be. If you feel that any of your exam marks are not what they should be you do have a right to view your transcripts for free. Students can also appeal their marks, but for a fee. 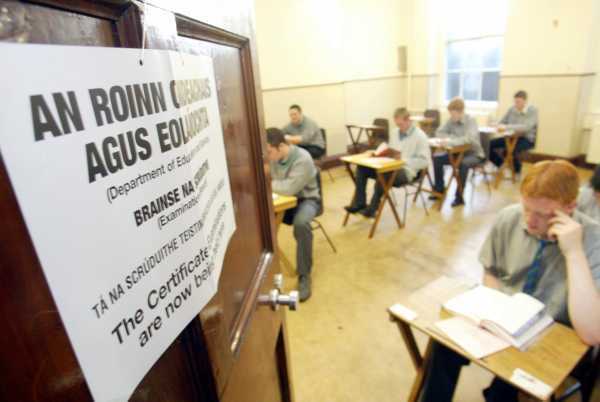 Thousands of students also repeat the Leaving Cert every year. Although it takes another year, it is another route open to you. Students might also be offered places on the Level 6 and 7 course list. The deadline for acceptance of offers is indicated on the offer notice and is usually one week later than the date of the initial offer. Level 6 and 7 courses are a great way to still get to the end goal. It might take you a year longer, but the student will come out with the same qualification as if they had started straight into a level 8 degree. The class sizes are often smaller and there is more one on one attention from lecturers. ‘Available Places’ on CAO is one option that is often overlooked. This section on the CAO website will be updated once the first options are given out and when second and third choices are freed up. It also features new courses that were introduced after the CAO deadline this year and are looking to be filled. The message is that there are loads of avenues to go down to get where you want to go, and plenty of people have availed of them. Venetia Taylor said she wanted to study Law since she was in third year in school. "I was never particularly academic in school but was heavily involved in extra circular activities, but when the Leaving Certificate examinations came around, I panicked that I was not panicking like other people." Unfortunately, just before the Leaving Certificate began Taylor contracted Glandular fever with the next couple of months becoming a write off. "My worst memory during the exams was when I fell asleep during my Irish paper! A paper I was not confident about passing." It wasn't until the end of the summer that she had recovered fully. The points for Law that year were 500-540 points. "I toyed with repeating, but ultimately I decided to see what back doors where available. How would I know if I even liked law? I decided to do a Diploma in Legal Studies, part time. I worked during the day and went to college at night. I later did an LLB (Degree) in Irish law, LLM (Masters) in International Commercial and Human Rights Law and after completing the Barrister-at-Law degree was called to the Bar, all while working full time." "While achieving the points you want is important, it doesn't define who you are for the rest of your days. I got to travel and live abroad during that time, I had an income and I was independent of my family." Ideally, get the points but if you don't, and you do want something then there are alternative routes. When I started my career I was a little bit older than the average age, but the wealth of life experience I had from working with different types of people and companies has, I believe, given me a clear advantage over others coming directly from college. "The Leaving Certificate is important, but you can repeat, or you can try an alternative route. If something is for you, it won't go by you." Email “'While achieving the Leaving Cert points you want is important, it doesn't define who you are for the rest of your days'”. Feedback on “'While achieving the Leaving Cert points you want is important, it doesn't define who you are for the rest of your days'”.